For example, let’s say you send out a newsletter to all of your customers every month. You can create a custom link for each newsletter to see how many people clicked on the link, how many orders were placed, how many tickets were sold, how much revenue was generated, etc. You can also use unique tracking links for all of your social media marketing and paid advertising to easily identify the profitability of your efforts and your ROI. Another common use of tracking links is to provide unique links to affiliates so you can track their sales and hence their commission. 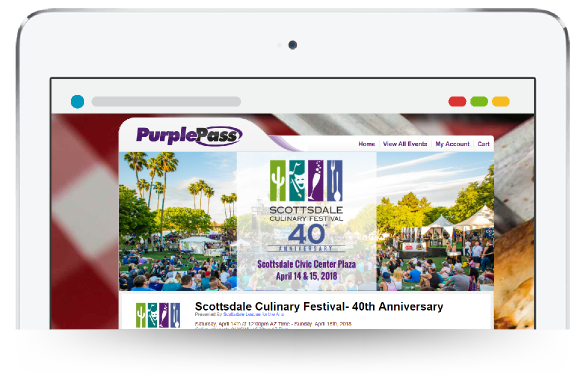 Every page of Purplepass is highly optimized for search engines, making it easy for your event to be found and listed on all of the top sites such as Google, Bing, and Yahoo. 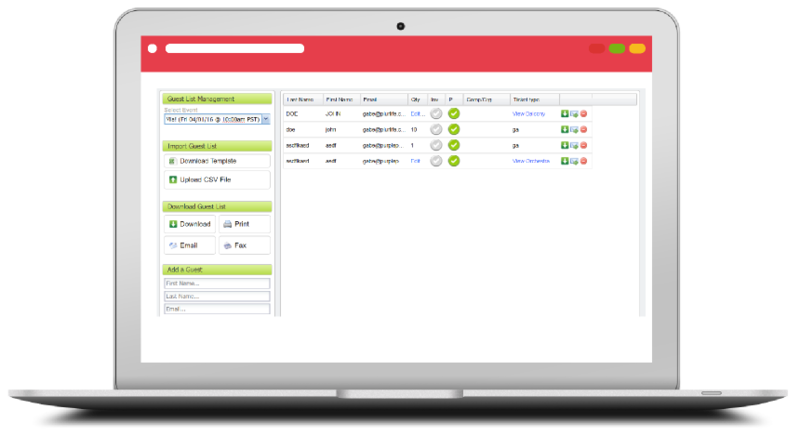 This will ensure that everyone will be able to quickly find your events if they are searching for it or something like it. We work with thousands of event organizers all over the United States and have successfully powered tens of thousands of events. 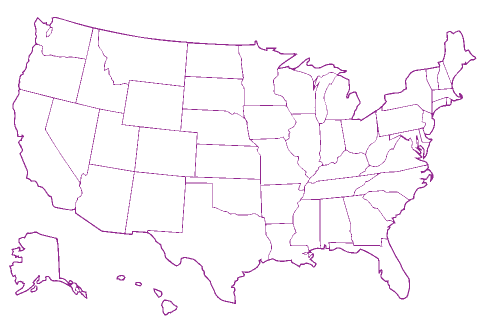 As a result, we’ve built a vast user base across the entire country. 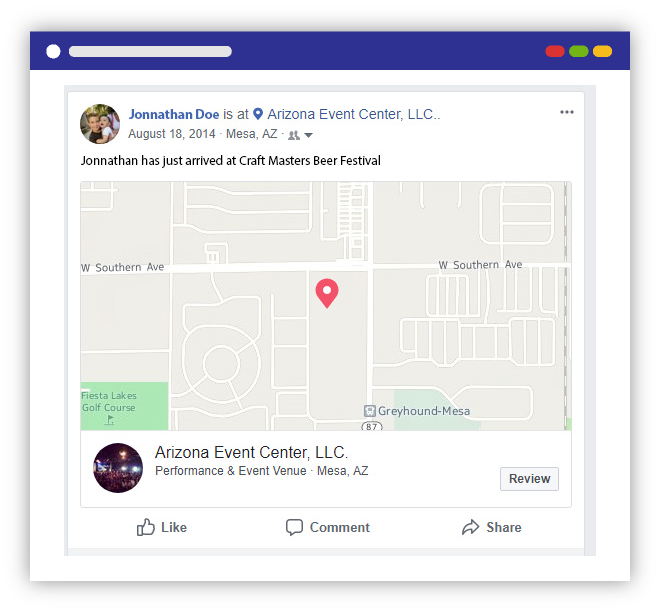 This gives us the power drive traffic to your event page through users coming to Purplepass looking for events in their area. In addition, we also have at our disposal an extensive list of customers that have purchased tickets to events in your area and/or that have purchased tickets to similar events such as yours. 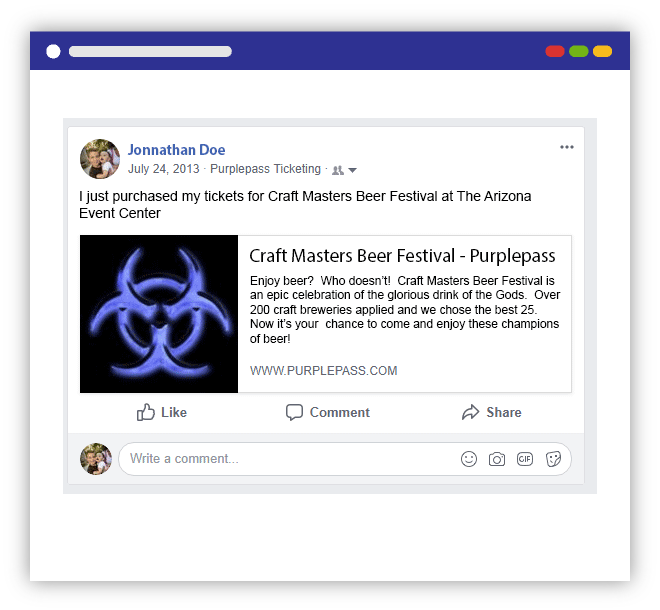 When posting your events on Purplepass, you get to leverage a powerhouse of marketing reach and ensure you fill the house with as many guests as possible. We’ve been in business since 2008 and since then we’ve built up a substantial mailing list of customers that have purchased tickets. We routinely send out newsletters to our past customers notifying them of upcoming events in their area. 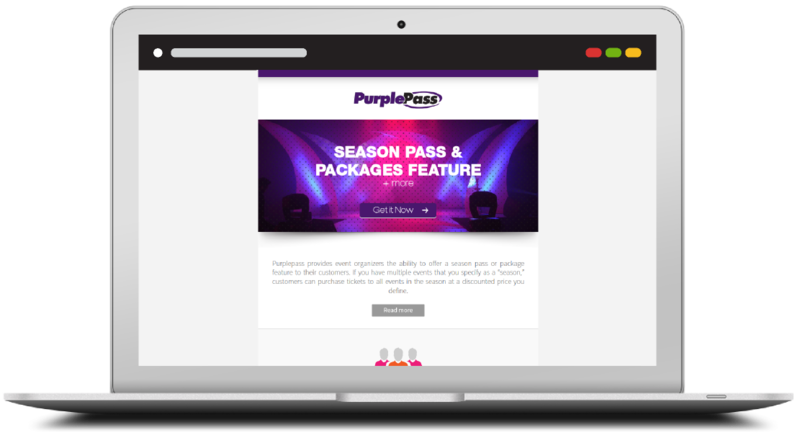 As a client with Purplepass, you will automatically gain the marketing power of a mailing list, ensuring everyone in your area knows about your event. We will help you sell as many tickets as possible to ensure the most successful event. We work with several event syndication service providers. 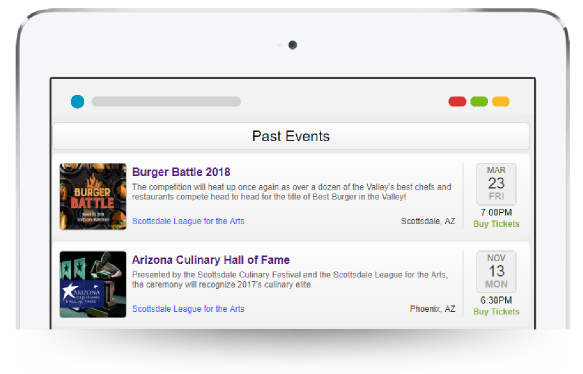 When you post your event on Purplepass, your events will be automatically blasted out to websites, news outlets, and upcoming event listing sites in your geographical area. 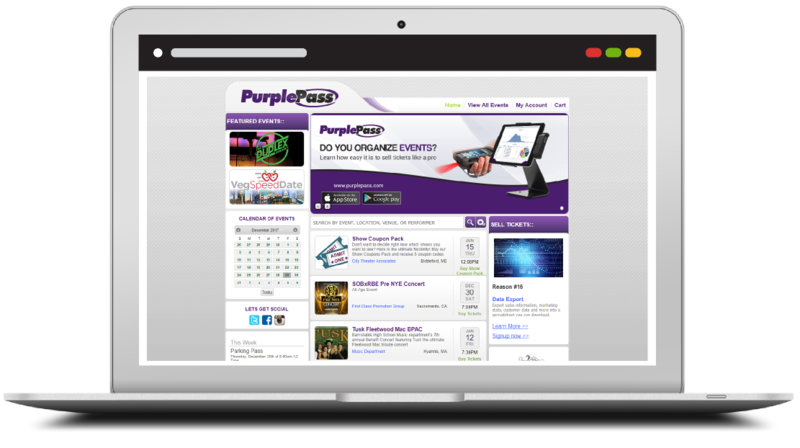 Purplepass is a destination where people come to find events to attend in their area. We offer premium ad placement on the website homepage as well as featured placement. Please contact your client rep to learn more about advertising opportunities. 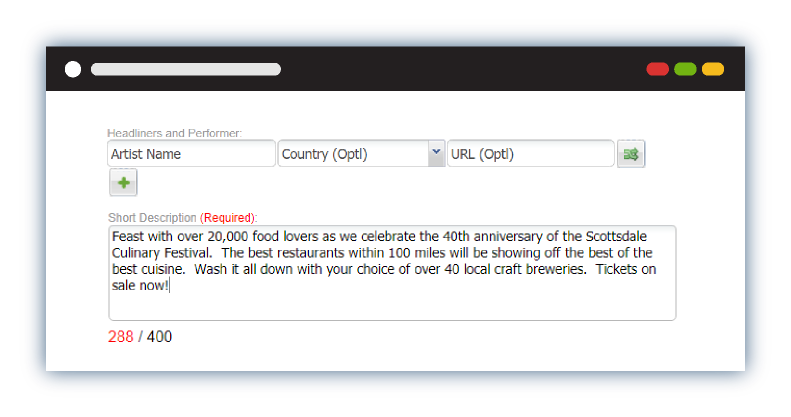 Our special short search engine description option allows you to set exactly what will appear on the search engine’s search results when someone is looking for your event. 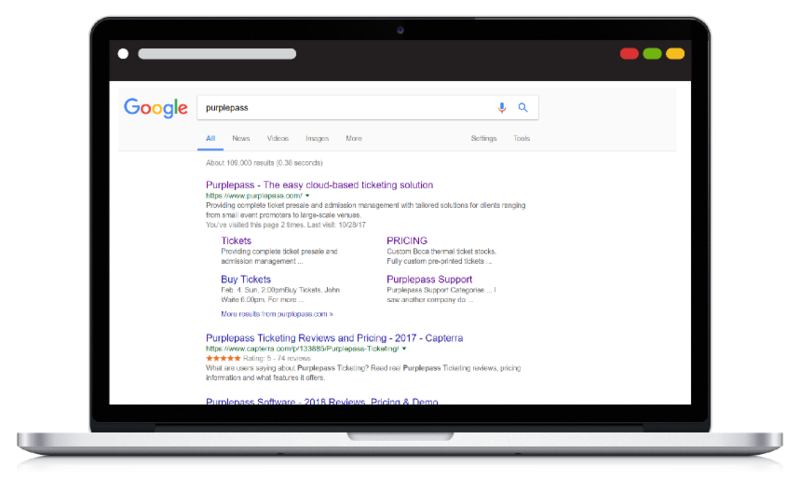 This will allow you to ensure the right information is being shown to potential guests when they come across your search results. 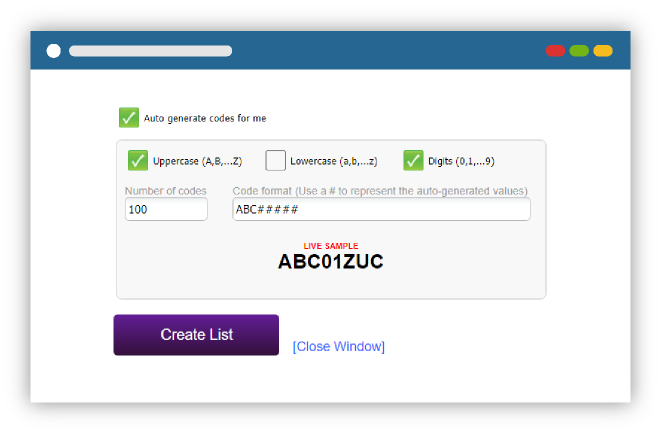 Single codes are discount/coupon codes that you create one by one – There is no limit on how many codes you can create. You can limit the number of times a code can be used. For example, you can restrict a code to only work 10 times. After it’s been used 10 times, it will no longer be valid for any future attempts. 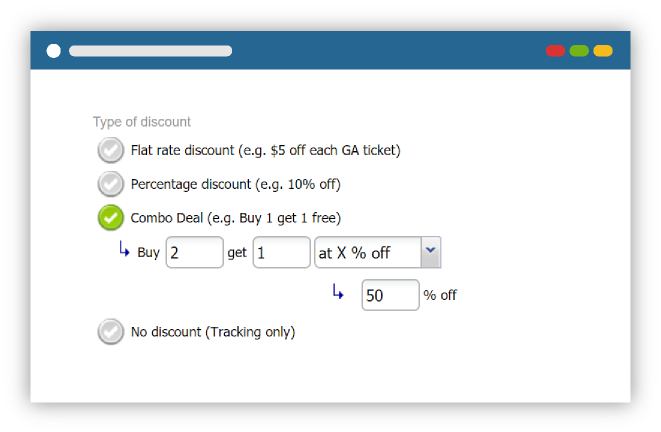 You can define how many tickets the discount/coupon code will be valid for. 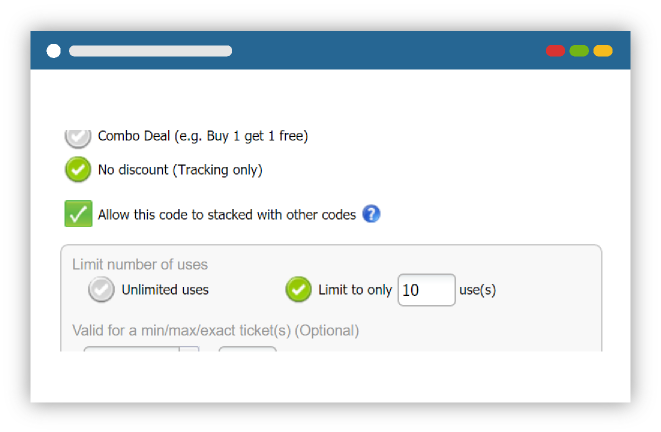 An example would be a group discount code that is only valid if you purchase 10 or more tickets. Another example would be a $5 discount that is valid only up to 2 tickets. If the customer wanted to buy 3 tickets, they would receive the $5 discount for only 2 of the ticket and would have to pay full price for the 3rd ticket. 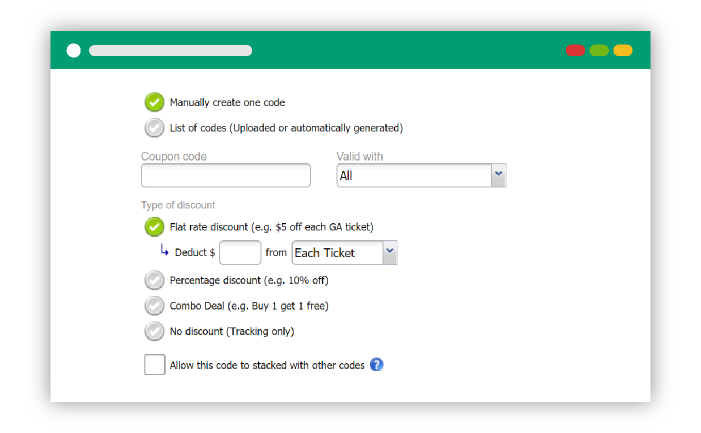 Have the system automatically generate the discount/coupon codes for you. You can control exactly how the codes will look by choosing how many characters, any predefined characters (e.g. “Save” in “SaveXXXXXX”) and if the codes should include lower case, upper case, and/or numbers. 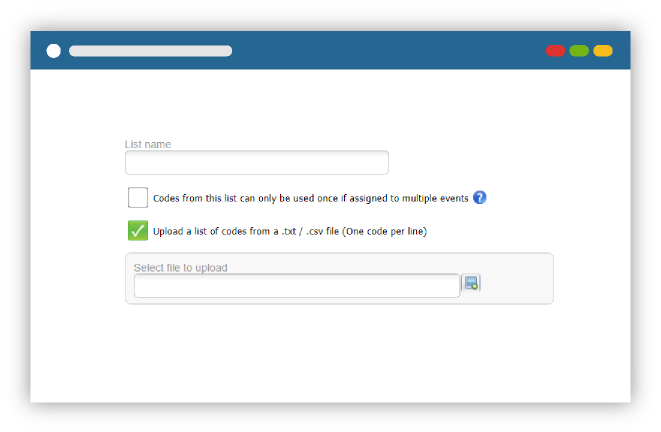 You can create a list of codes which can be reused over and over as well as be attached to multiple events. A common use for this is if you have the same codes that you use for each event you organize. Rather than recreating all of your codes each time, you can simply create a list and attach this same list to all of your events. You have the option of allowing codes to be assigned to multiple events but are only usable one time. A great example of this is if you have a list of voucher codes that give someone a discount or even free tickets just one time to any of your events. Since the same list is applied to all of your events, once the code is used one time on any event, it will no longer be usable for further events. If you have other people promoting your event such as fighters for an MMA event or bands for a rock concert, you can issue tracking-only codes for each person. The codes will not provide any discount but can be used to track sales that came from them. 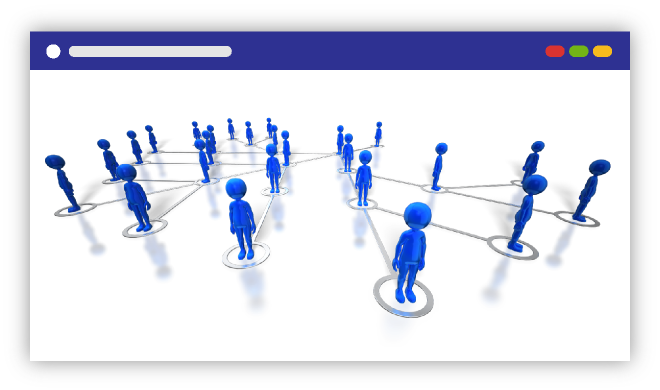 This is a great way to manage a commission program for your affiliates and promoters. You have the option of allowing certain codes to be stackable. What this means is multiple codes can be used at the same time. A great example of this would be if you offered voucher codes that are valid for free admission. A guest might be given 3 voucher codes valid for 3 free tickets. Rather than doing 3 separate orders, they can apply all 3 voucher codes at the same time and check out once. 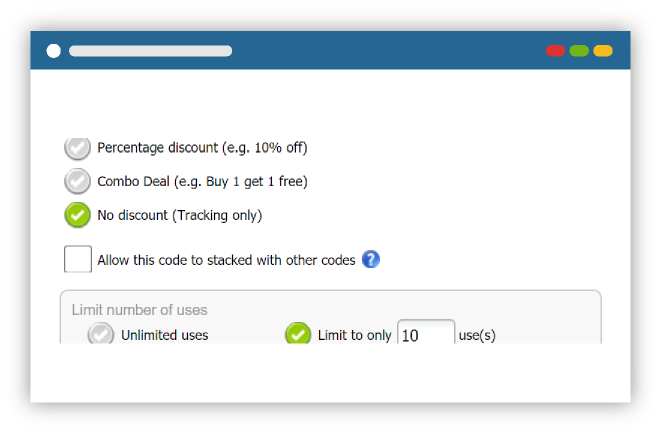 You can define when the discount/coupon codes will be valid. Let’s say you are doing a special holiday discount where the codes will only be valid for the first week of December. 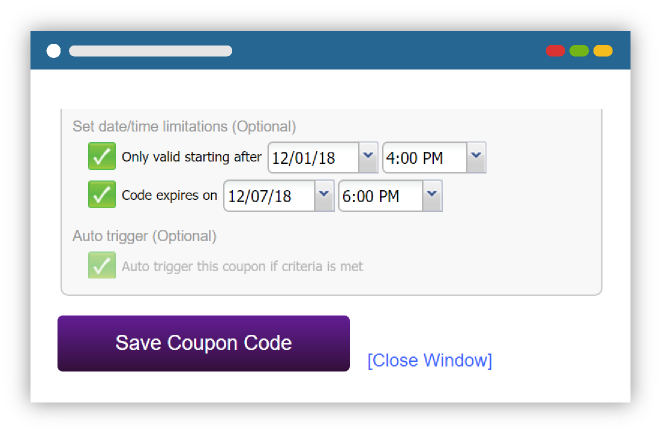 You can pre-program the exact date and time the codes will become valid and when it will expire. 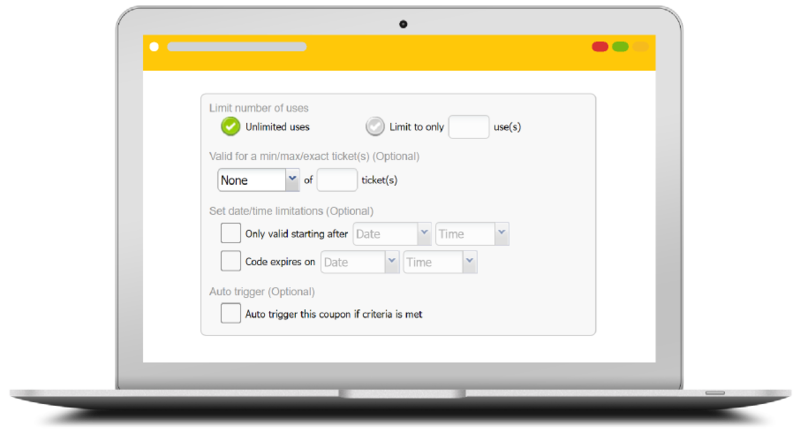 The auto-trigger option allows a code to be automatically applied when the criteria is met. A perfect example of this is if you are doing a group discount where the customer received 5% off if they purchase at least 10 tickets or they will receive 10% discount if they purchase at least 20 tickets. You can create two codes, set the options (e.g. 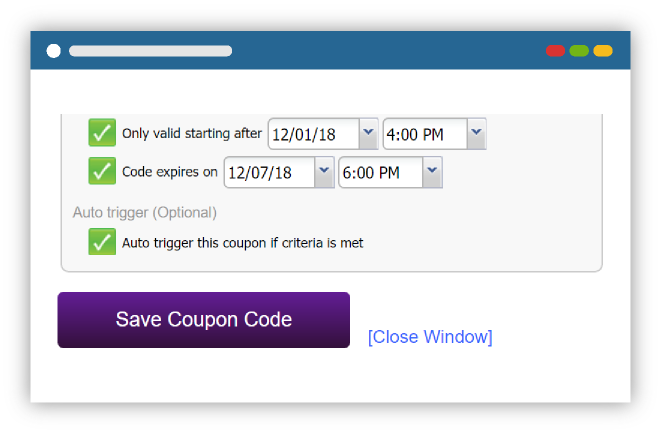 5% off minimum 10 and then another code for 10% off minimum 20) and set them both to auto-trigger. 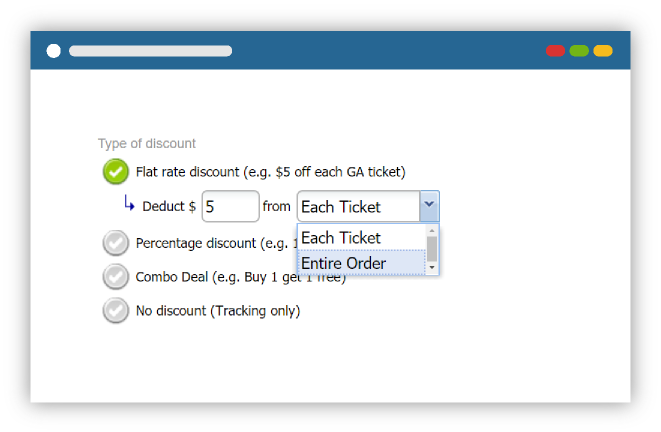 If a guest adds 12 tickets to the cart, they will automatically get the 5% discount. 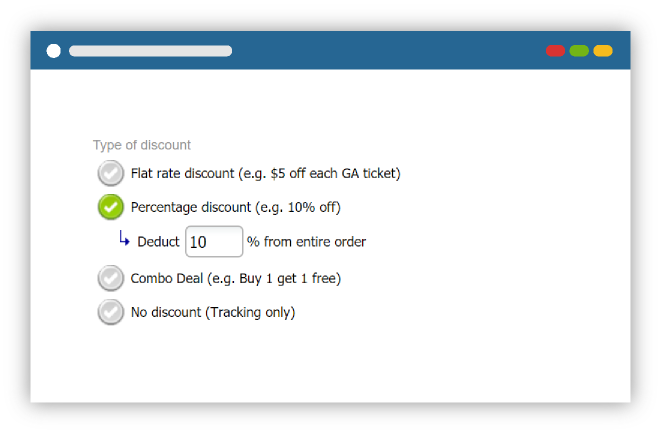 If they add 25 tickets to the cart, they will automatically get the 10% discount. This makes group ticketing and other special offers incredibly simple. Our built-in guest list system is an absolute win with all of our event organizers. 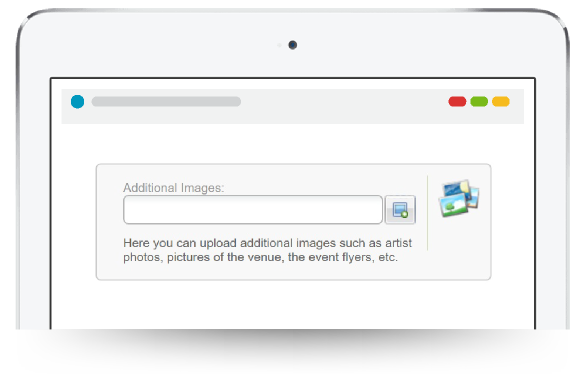 You can electronically create and manage your guest list for your event. You can enter their info, decide if they should get print-at-home tickets or be added to will call, and the system will email them notifying them they have been added on the guest list. IF you chose print-at-home, they will have their tickets attached. 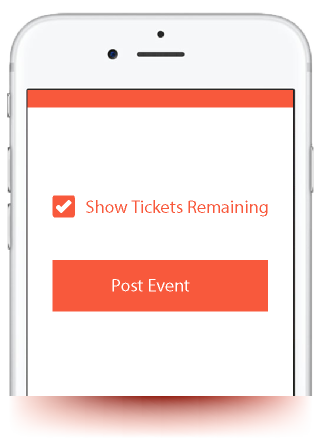 When it comes the day of event, rather than going to the guest list window, you can do away with it and allow your guests to go directly to the entrance and scan right in as if they were paid tickets. Of course you can create custom guest lists/COMP entrances, require people to do will call if they need to pick up credentials, etc. It’s completely up to you on how you want to run the guest list. Other features of the guest list include the ability to batch upload a list of guests and mass assign them. Guest list entries will appear within the box office, promoter management interface, and even accessible by the smartphone apps and professional gear. This is great if you do not have your own website and are directing people to Purplepass. Rather than telling people to just go to Purplepass and search the event, you can create your own custom link that is short, easy to remember, and will take them directly to your event page on Purplepass so they can buy tickets. This is a great option for including on flyers. If you are offering special priced tickets but they are only accessible to guests with a special code, you can make these ticket types available and require a code in order to purchase. Ability to define advanced code requirements such as the minimum, maximum, or the exact number of codes needed per ticket type or per ticket purchased. 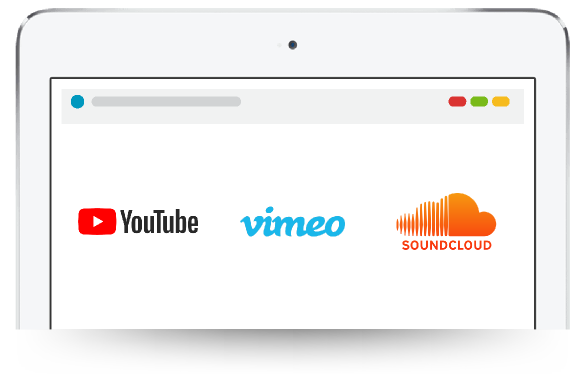 Add videos of the performers, promotional videos from past events, or anything else you’d like your guests to watch while checking out your event. 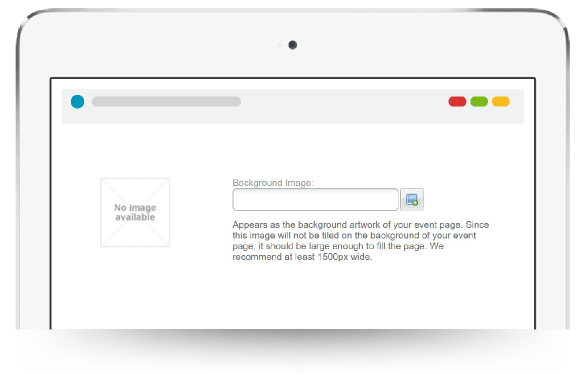 You can even set a video to auto-start when your event page loads. 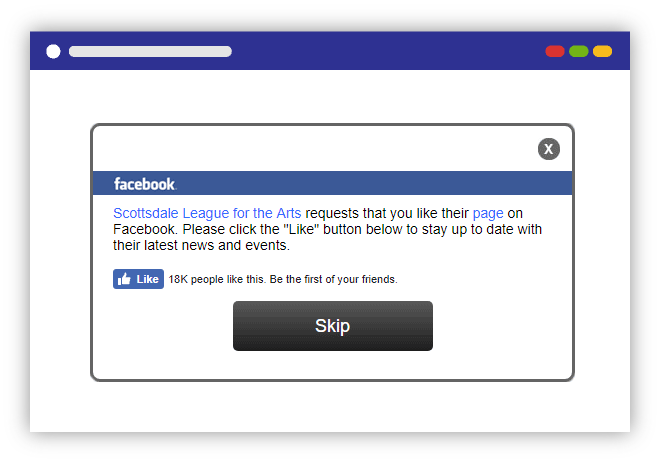 This is great if you have a YouTube video with music on it so your guests can enjoy some music while browsing your event. 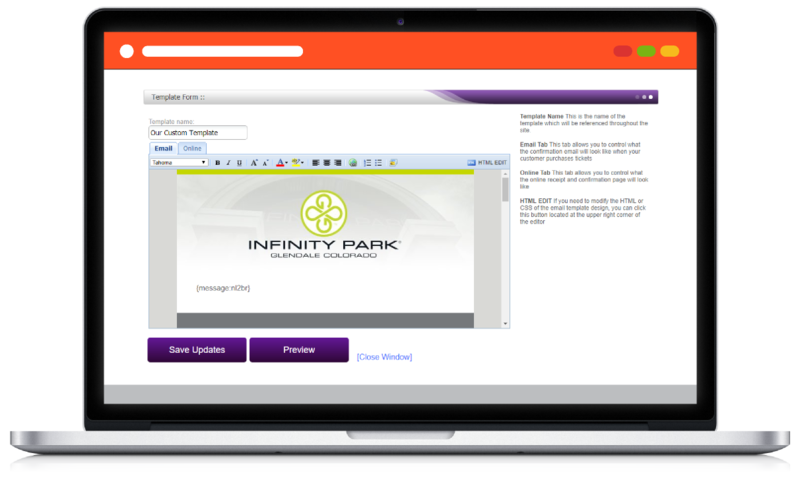 Fully customize the buying experience for your customers by implementing your own email template. You have full control right down to the CSS to truly create a custom email confirmation that suites your company’s branding needs.